This book is written by 14 community experts, many of which I have met over the past years. It is a free, but sponsored, ebook! All sponsor proceeds will go to charity. The first book I wrote was also a book with multiple authors, it was only a handful of people and that was painful enough as it is. An insane amount of coordination is involved usually and I have a lot of respect for these guys, 14 people writing a single book is not easy. On top of that, these guys decided to cover multiple VMware technologies, ranging from NSX to VDI to vSphere etc. Very cool if you ask me. Oh, and before I forget… They have already managed to collect over 25.000 Euro for charity. Great job guys, what an achievement. 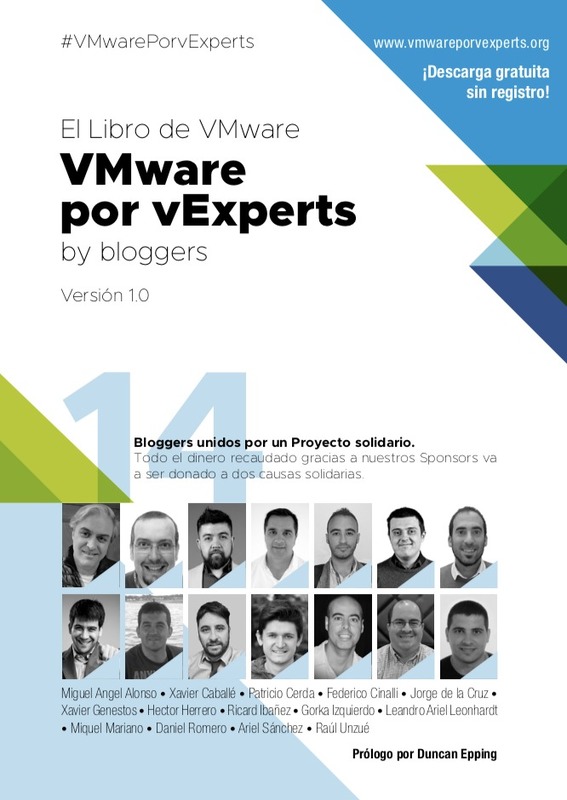 I am not going to say much more, just download the book (if you read/speak Spanish)! Thanks for letting me part of this. Thank you Duncan for share and write the prologo.